The elliptical machines are whirring and the grill is sizzling at the newly opened Agnes Varis Campus Center on the North Grafton Campus of the Cummings School of Veterinary Medicine at Tufts University. The new center—borne out of a $6-million renovation of a nurses’ dormitory of the former Grafton State Hospital—features a cafeteria and bookstore space, as well as faculty offices, meeting areas, student lounges, and a 1,000 square-foot fitness center. The campus center will be officially dedicated on Tuesday, September 23 at noon. A second, $4-million phase of the renovation is underway, and will include an outdoor patio area, and a 173-seat auditorium. The auditorium will serve as a much-needed third large lecture hall for the more than 340 students at the Cummings School and will also provide an improved venue for continuing education, scientific conferences and special events programs both for the school and the community. The entire project is slated for completion in Spring of 2009 by Bowdoin Construction. The Agnes Varis Campus Center will bring together many elements of campus life into one cohesive area. For example, the previous campus bookstore—the home of the Student Chapter of the American Veterinary Medical Association—was located in the Jean Mayer Administration Building, while study lounges were scattered throughout campus. No fitness center existed, and the school’s cafeteria—the home of catering and dine-in business Loaves and Fishes—operated out of a trailer on campus. Food will now be served at a permanent café named the Elms Café by trustee and overseer Dr. David McGrath, a 1986 graduate of the school. The café is open to the public daily from 7am until 4pm A menu can be found at loavesandfishescatering.net. To have one area for our campus community to gather, study, eat, exercise, work, and play has been a dream for the Cummings School throughout our 30-year history, said Dean Deborah T. Kochevar, DVM, PhD. The Agnes Varis Campus Center will be the new hub of campus life here, and we are deeply appreciative of the support from the school’s friends that allowed this renovation to take place. 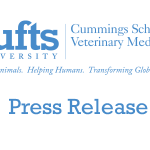 The new center is named for Dr. Agnes Varis, a long-time benefactor of the veterinary school and member of its Board of Overseers and the Tufts Board of Trustees, who provided a $4 million naming gift for the center. 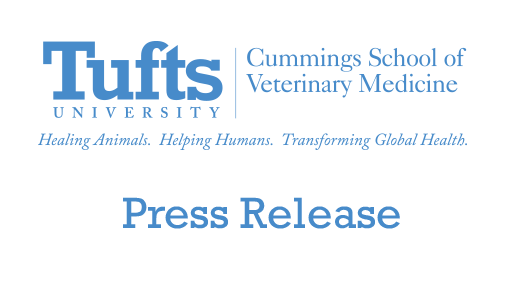 Dr. Varis, founder and president of Agvar Chemicals Inc., which provides FDA-approved bulk pharmaceutical active substances for generic drug manufactures, has provided support for many projects at Tufts and at Cummings including student stipends, an endowed professorship and the Varis Cat Ward in the school’s Foster Hospital for Small Animals.